Braunfels had a successful career as a pianist and composer throughout the 1920's and his success lasted until his dismissal from his post at the Hochschule für Musik in Cologne in 1933. He was expelled for having written what the Third Reich considered to be Entartete Musik as well as for being halfJewish. He withdrew from public life and entered into what has been termed internal exile, first in Bad Godesburg and then on Lake Constance. Braunfels continued to compose during the war years, but upon return to the stage and academic life after the war he was unable to reclaim the success he had enjoyed in the 20s and early 30s. After his death in 1954, he was largely forgotten for several decades. However, there has been a revival of his works in recent years, and his operas in particular have received critical acclaim along with his string quartets and orchestral works. The Braunfels family was from Frankfurt am Main. Walter Braunfels was the youngest of four children; his father was a jurist and a man of letters and his mother was a musician and the greatniece of the composer Louis Spohr. When he was only three years old his father died. He was brought up in an intensely musical environment, his mother had played with Liszt, and his older sister was a pupil of Clara Schumann at the Hochschen Conservatory in Frankfurt. At the age of 12, he was accepted as a student of James Kwast at the Hochschen Conservatory. Through his teacher, he became devoted to the music of the conservative and nationalistic antimodernist composer Hans Pfitzner, who was Kwast's soninlaw. As a result he joined the Hans Pfitzner Society founded by the German writer Thomas Mann along with Pfitzner himself. Pfitzner was also a great supporter of Braunfels; their mutual respect and support is documented through their correspondence. In 1901 Braunfels moved to Kiel to take up legal and economic studies at the university, highlighting a split between a love for music and a desire to have a more practical vocation. He kept up his mostly autodidactic studies of piano and composition in this period, and was keen on improvising. He gave several house concerts (documented in his letters to his mother), where he improvised on themes provided by the audience. In 1902 he moved to Munich where a dynamic artistic scene was in its heyday. The creative environment featured studies with conductor Felix Mottl, who acted as his music coach and conducting teacher, and allowed him to sit in on rehearsals of Wagner's Ring and Tristan und Isolde. His contacts with Mottl, in addition to hearing performances of the symphonies of Mahler and the music of Strauss, were some of the most formative moments for Braunfels. As a result, he decided to pursue music full time. In the winter of 1902 he enrolled in a course of piano studies in Vienna with the famous pianist and pedagogue Theodor Leschetizky. Following in the footsteps of pianists such as Arthur Schnabel and Ignaz Paderewski, Braunfels threw himself into Leschetizky's rigorous method that required him to relearn much of his technique. The great teacher's motto was, In an emergency, if you do not know how to use one hundred different sound colors in 10 bars of music, you are not an artist. During this period Braunfels also studied theory with Karl Nawratil, the theory teacher of Arnold Schoenberg. The following year he began his composition studies with Ludwig Thuille. In 1905 Walter Braunfels began to visit the house of Adolph von Hildebrand, where he met his youngest daughter Betal, who was, at that time, the fiancée of Wilhelm Furtwängler. She became a piano student of Braunfels shortly thereafter. They fell in love, and four years later, in 1909, they were married. In 1909, Braunfels completed Prinzessin Brambilla. This opera, based on material from the Commedia dell'arte, was admired by Busoni and was intended as a comic opera that thumbed its nose at Wagner. In 1913, Braunfels started writing one of his most famous works, Die Vögel, a work based upon the play of the same title (The Birds) by Aristophanes. In 1915 he enlisted in the army and served at the front. 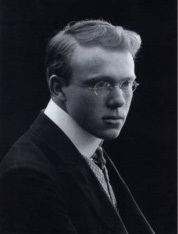 In 1917, reflecting on his experiences in the war and inspired by Bruckner's religious devotion as well as that of his fatherinlaw, Adolph von Hildebrand, Braunfels converted to Catholicism. The second act of Die Vögel seems to reflect this, showing a more obviously Christian tone, and ending with a religious hymn. The postwar period between 1920 and 1933 was the time of Braunfels's greatest success. His most important works from this period are the opera Die Vögel, and the orchestral work Phantastischen Erscheinungen eines Themas von Berlioz. The orchestral variations were performed in New York under Bruno Walter in 1920 as well as in Zurich, Frankfurt and Leipzig (under Wilhelm Furtwängler). Furtwängler conducted the Don Juan Variations in 1924, and the premiere of the opera Don Gil von den grünen Hosen, was performed, all in the period between 1920 and 1925. In 1925, Braunfels was appointed founding director of the Hochschule für Musik in Cologne. Two further large scale works, the opera Galathea, and the Adventskantate were premiered in 1927 and 1930 respectively. In 1933 Braunfels was dismissed from all official offices and denounced as a composer of Entartete Musik and also for being halfJewish. He retired from public life and remained in internal exile until the end of the war. Braunfels continued to compose during his internal exile, turning to religious and spiritual themes. His Adventskantate from 1933 and his composition Verkündigung, from 193335, based on the play L'Annonce fait a Marie, by Paul Claudels, are rooted in Christian themes and texts, and are seemingly an attempt to counter the banality and evil of the Third Reich by adapting a high moral tone. These works were poorly received after the war, as they were considered to be deeply out of sync with emerging postwar music. Verkündigung was finally performed in Cologne in 1948 shortly after Braunfels was reinstated as a Professor Emeritus at the Hochschule für Musik. In February of 1937, Braunfels met with Bruno Walter in Amsterdam to discuss mounting a production of his opera, Der Traum ein Leben, which Walter agreed to perform in Vienna, but due to the annexing of Austria in 1938, the performance never came off. To add insult to injury the Reichsmusikkammer banned Braunfels from all public music engagements. From 19431945 Braunfels turned his focus to chamber music, writing two String Quartets (opp. 60 and 61) and a String Quintet (op. 63). These works have been compared to the late quartets of Beethoven, and it is likely that he drew much inspiration from the works of the great composer who had also written his works in the kind of internal exile that deafness had imposed upon him. Walter Braunfels returned to public life in 1948, returning to his post as the director of the Hochschule für Musik in Cologne and also returning to the stage as a pianist. His works were performed once again, but their critical reception made this a bittersweet experience. His successes from the 1920's were never duplicated, and the works from his internal exile from 19331945 were hardly staged. After his death in 1954 his work was largely forgotten and was to remain in oblivion until two new productions of his opera Die Vögel were staged in the early 1990's followed by a recording with the Cologne Symphony Orchestra, conducted by Dennis Russell Davies, in 1992 (EMI Classics). Walter Braunfels's reputation as a composer is still in flux. While there is emerging interest in his compositions, there is very little material about him available in English. The only major study of his life and music was written by Ute Jung and published in 1980. While recent releases of his music on labels such as Decca and EMI have led to a resurgence of interest, there are still many biographical questions that remain unanswered, in particular with regard his internal exile during the war.